Rabbit fur rug made from the highest-quality rabbit furs. Add the ultimate touch of distinction and luxury to your home decor with our rabbit blanket. 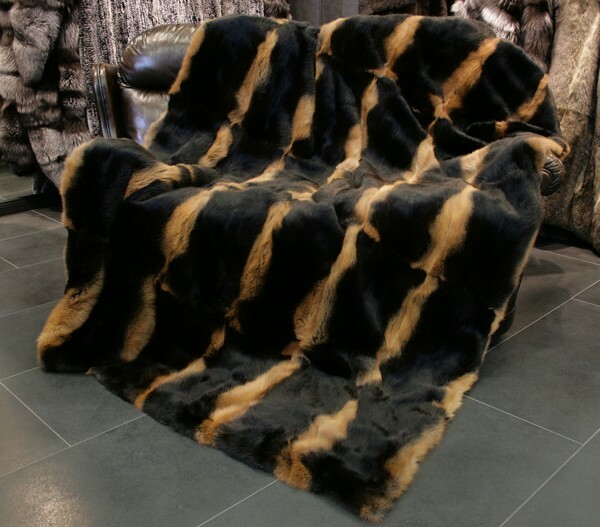 To make the blanket even softer, our expert team of furriers and tailors have added black wool fabric to the reverse. Like all of our items, this blanket is made by hand by our team of craftspeople at our workshop in Kiel, Germany. 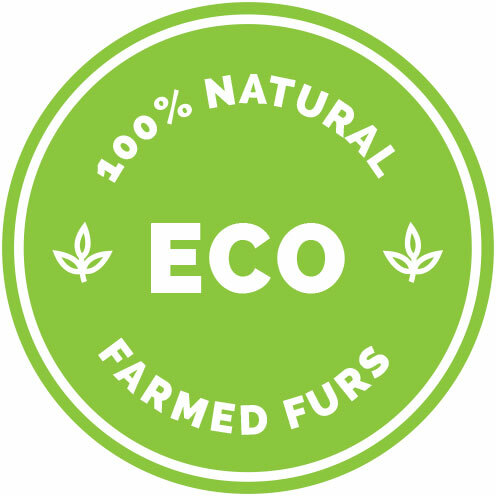 We combine the finest furs and materials to make products of unparalleled quality and comfort. This blanket is no exception. We would gladly create this rabbit fur blanket in any custom size you'd like. Please note, however, that this would lengthen the time of delivery ca. 2-3 weeks. Related links to "Rabbit fur blanket"
Customer reviews for "Rabbit fur blanket"